Hi Cake Friends!! Check out that beautiful shiny gift bow! What if I told you that little gift bow was totally edible? Crazy, huh?! All you need to make this gift bow are my Edible Firm Cellophane recipe, Magic Gummy Vinyl recipe, an airbrush machine, and airbrush colors! It takes a little bit of time to make and to dry, but the Edible Firm Cellophane bow will last for months if stored properly! 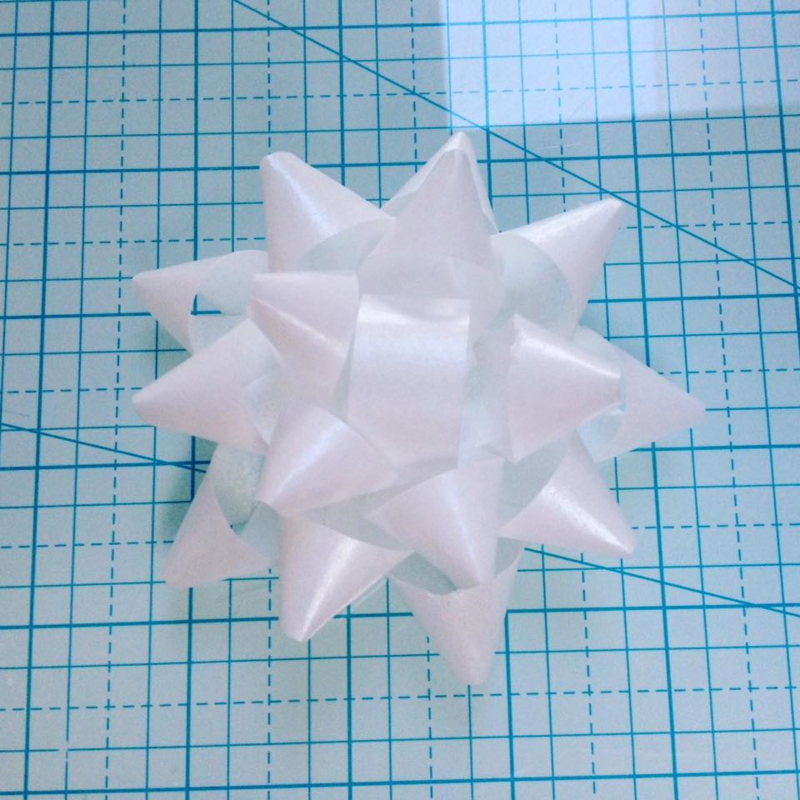 To store an edible cellophane bow, make sure the bow is completely dry, then store it in a food safe container with a tight-fitting lid or you could place it in a Ziploc baggie and store it in a cool place away from sunlight. The bow is a little bit fragile, so make sure you store it somewhere where it will be protected from being squished or bumped. So what do you do if you need a bow quickly and don't have time to let a cellophane bow dry? Well, the measuring, cutting and assembly technique will work with wafer paper as well!! Check that out! The wafer paper even has a soft shine to it! I hope you guys enjoy this tutorial!! If you guys use this tutorial for any of your creations, I'd love to see them! !